On May 28 each year, Ethiopia celebrates Derg Downfall Day. This public holiday commemorates the end of the Marxist junta that ruled the country from 1974 to 1991. It is in fact the national day of Ethiopia. In the early 1970s, it became evident that the health of the Ethiopian Emperor Haile Selassie I was deteriorating due to his advanced age. The Ethiopian military saw this as an opportunity to overthrow the Emperor and seize power. In 1974, a provisional military administrative council installed a socialist military government. The council was known popularly as the Derg (the Ge'ez word for “committee” or “council”). The Derg regime was notorious for its cruelty. Tens of thousands of the regime's opponents were imprisoned and executed without trial (the Red Terror). Opposition to the regime sparked a civil war. The Derg was officially abolished in 1987, following the adoption of the new Soviet-style constitution. However, the socialist regime in Ethiopia finally collapsed on May 28, 1991, when the Ethiopian Peoples' Revolutionary Democratic Front forces entered Addis Ababa. 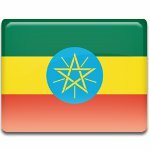 Ethiopia does not celebrate Independence Day because it has never been a colony, therefore Derg Downfall Day was declared as Ethiopia's national holiday.